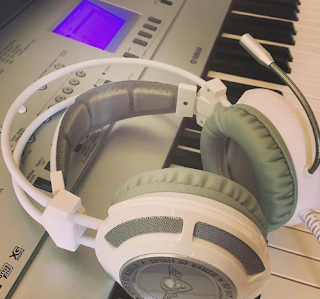 A Philosophical Approach to Piano: A Word in Your Ear? 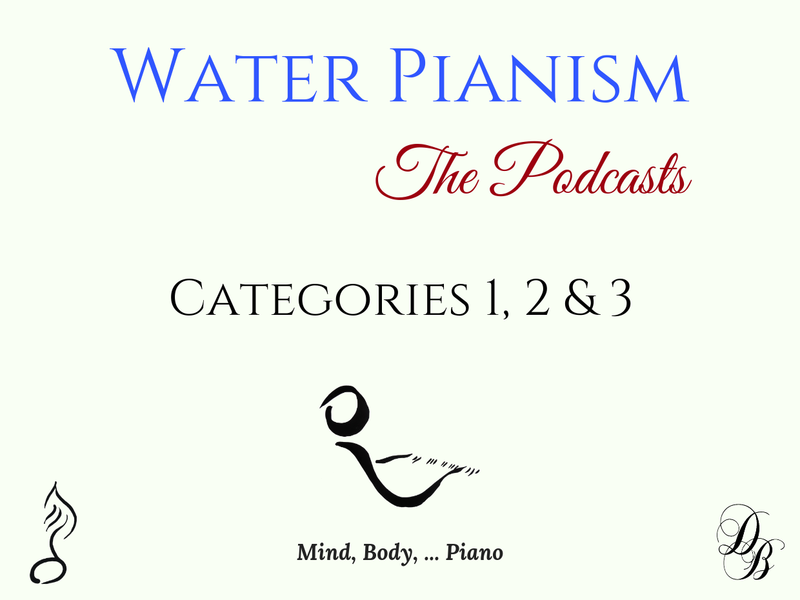 I have finally completed the first edition of: Water Pianism - The Podcast, for your enjoyment, education and enlightenment. I have done this, apart from the previous three reasons, because not everybody wants or has the time to watch 20+ minute videos and because many people simply like to listen to content instead of watching videos at all or reading long articles. Also, see my effort as a way of keeping up with market trends and user behaviour and preferences. Samples (first 30 seconds of every episode) and purchase links are on this dedicated page: click here. The content has been divided up into three categories: the philosophies / theory and technical exercises / jazz piano and composition. Each category has ten episodes and each episode is at least twenty minutes. It totals over fourteen hours altogether and includes real piano audio samples where necessary. For the most part, however, you are strongly encouraged to use your internal piano and listen at your piano to practise what I discuss. You have the opportunity to buy all three together for $20, or the first category as a duo with either of the other two for $15. Just as with my eBooks and private sessions, I price myself very cheaply so that I can survive, whilst not depriving anybody of such beneficial material. It is important that you understand I do not do anything specifically for financial reward but I do ask that you realise my landlord and service providers see things differently! I trust that you consider this a fair price considering the hours I put it and what you will take away from it, for use both at and away from your piano. The podcast is available as a direct download from this page: click here (new window). It leads to a page containing purchase options via Sellfy, just like my eBooks, where you can download and unzip an organised MP3 folder for transfer to your listening device. The total file size is around 600MB. Please consider following my Facebook page and new Instagram profile for regular updates and goodies. To meet like-minded Water Pianists, join the WP Community on Fb! In other news, I am trying to maintain a schedule of 5-7 videos/month and am also working on some poem-novels which I also hope to publish later in the year, plus some compositional melodies which have been floating around my head. If you're unaware of my compositions: my SoundCloud. Also, following this podcast series, I have a strong desire to do a free, weekly, regular podcast in which I discuss my favourite comments on the previous week, no matter which video they appeared on (since I respond to all comments) and to expand upon them, share audio examples and give more thoughts. I do this to further interact with my audience and to provide yet another source of education and wisdom. I will update via social media as necessary. The key to playing in keys!